You will need Node 11+, Yarn and React Native 0.5+ installed on your machine. In this tutorial, you will learn how to add link previews to your React Native chat app. When you share links to your social media accounts, or on the Messenger app a preview is often generated. Those previews are what we’re going to build in this tutorial. Basic knowledge of Node, React, and React Native is required to follow this tutorial. You’ll also need a Chatkit app instance. This tutorial assumes that you already know how to create one. Be sure to enable the test token provider as that’s what we’ll be using. Lastly, you’ll need an ngrok account, we’ll use it to expose the server to the internet. We’re going to build a chat app that automatically determines URL’s from the user inputted text. This URL is then used to fetch the thumbnail image and title of the page. Note that this heavily relies on the website’s use of Open Graph Tags. This means that previews won’t be generated for websites that don’t use it. The app flow starts in the login screen where the user has to enter their username and their friend’s username. The friend’s username doesn’t already need to have been used for logging in at this point. Once logged in, the user is automatically navigated to the chat screen where they can start sending messages. If the message contains a URL, a thumbnail image preview is shown. When they click on it, it will launch the app that can display the content. Note that the app has only been tested with Youtube video URL’s and URL’s to web pages. Any other content (for example, PDF, audio) haven’t been tested. You can find the code on its GitHub repo. @pusher/chatkit - for using Chatkit to easily implement a chat app. react-native-gifted-chat - for building the chat UI. react-native-link-preview - for extracting Open Graph data from web pages. axios - for making requests to the server. @pusher/chatkit-server - Chatkit’s server-side library. We’ll mainly use it to create users and rooms. CHATKIT_INSTANCE_LOCATOR_ID="YOUR CHATKIT INSTANCE LOCATOR ID"
Note: In the code above, we’re using Chatkit’s test token provider. For production apps, be sure to spin up your own token provider. Update the src/screens/Login.js and src/screens/Chat.js file with the ngrok HTTPS URL that you see on your terminal. 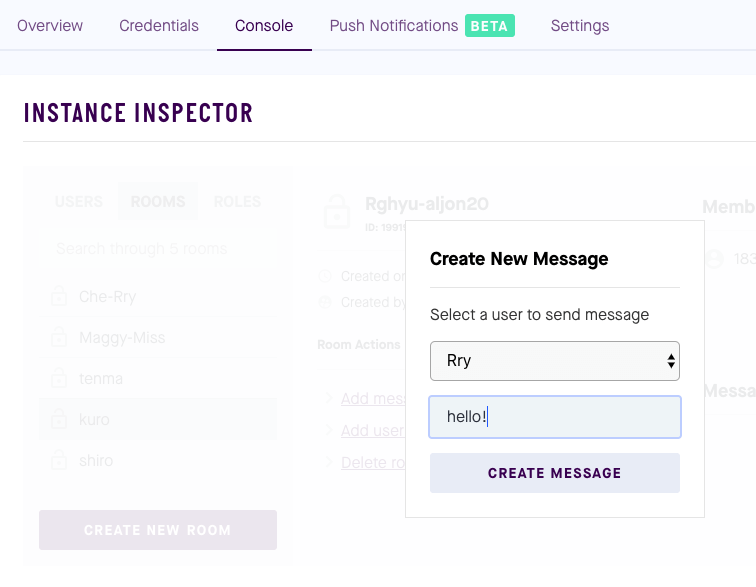 Note: The Chatkit console doesn’t auto-refresh, so once the room is created by the server, you have to refresh the page for the newly created room to show up. From there, you can send a message to the room. In this tutorial, you learned how to add thumbnail image previews for URL’s shared in a React Native chat app. You also learned that sharing links is a risk factor in your app. That’s why we prevented users from visiting links which don’t use Open Graph. Although its usage doesn’t ensure that the websites are secure, it’s important to have security measures in place. For production apps, I recommend that you pipe the requests to your own server first instead of making a direct request from the app itself. This way, you should be able to intervene if the website turned out to be insecure.